New York Yankees catcher Brian McCann’s bat slipped out of his hands and hit a female fan near the Boston Red Sox dugout in the seventh inning of Monday night’s game. The fan, who was seated four rows from the field, was hit on the left elbow and was attended to by medical personnel. She appeared to be holding an ice pack on her elbow, but stayed in her seat. In June, 44-year-old Tonya Carpenter was seriously injured after she was hit by a broken piece of a bat from Oakland’s Brett Lawrie. 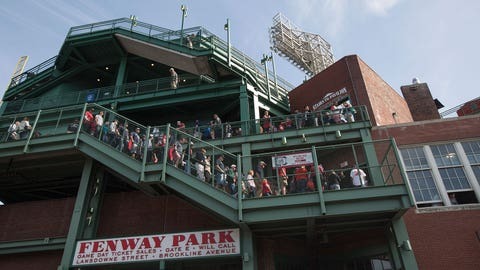 It prompted discussion around the majors whether teams should extend protective netting from home plate to the dugouts.